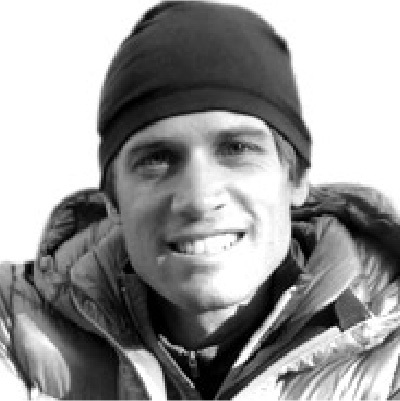 Having called Alpental his home mountain for many years, Bryce founded The Pass Life project in 2007. After founding evo, a Seattle based outdoor and action sports lifestyle retailer, in 2001, Bryce purchased a house in Hyak just east of this new development for evo employees to gather and enjoy the mountains. Shortly after, it became clear that there was something missing at The Pass. It wasn’t great people or amazing recreation, but there truly was a void needing to be filled; a center for the community. After buying, fixing up and selling a number of homes at The Pass, Bryce set out to find a piece of land for a small, mixed-use project where this “center” could be built. Ten years later, The Pass Life community is thriving yet still “just the beginning” when it comes to all that can be accomplished in the years to come. Bryce and his wife Elise along with their sons, Antonio and Zeke love The Pass and the time that they spend there with friends and family. Chuck Madison is a Senior Partner with East West Partners with a current focus on projects in Hawaii. He was formerly in charge of Resort Development for Colorado as well as various projects in the Lake Tahoe area. Chuck was also President of East West Associates, Inc., and the partner in charge of the Lakemont planned community development in Bellevue, Washington. He has been with East West Partners for 32 years. Before joining East West Partners in 1986, Chuck was Executive Vice President/Chief Financial Officer of Vail Associates, Inc.; he began with that company in 1980 as Treasurer. Prior to 1980, he served in the audit division of Arthur Andersen & Co. in Seattle, was Special Projects Manager for the Sun Valley Company in Idaho. Chuck holds a business degree from the University of Washington and is a graduate of Harvard University's Advanced Management Development Program in Real Estate. He is also a former Certified Public Accountant. A native of Seattle, Chuck is a member of the Urban Land Institute, a founding board member of Citizens for Quality Education and the Education Foundation of Eagle County and a past board member of the Beaver Creek Metropolitan District, Beaver Creek Resort Company, Bellevue Boys and Girls Club and treasurer of the Vail Valley Foundation. Chuck and his wife Leslie reside in Bellevue, Washington. They have four children-Ryan, Kyle, Christen and Tyler. As a member of The Pass Life team, Trevor has used his planning and ski industry expertise to round out the team on this project. The Pass Life vision resonates with Trevor’s development philosophies and he is excited to help create thoughtful, mountain communities for those who share a love of the Cascades. Having lived, worked, and played on Snoqualmie Pass for many years, Trevor understands the combination of natural beauty and inspiring people that constitute this special place. Starting with an engineering degree and a passion for snowy mountains, Trevor built his career on Snoqualmie Pass. From 2001-2014, he oversaw Planning and Development for The Summit at Snoqualmie, championing diverse capital improvements from the design and permitting stages through construction completion. In 2014 Trevor started Relevant Planning and Development LLC to help shape projects beneficial to people and place, specifically those created in recreational settings where the natural environment plays a significant role. Crediting Alpental for helping drive his life choices, Trevor is also a ski guide with Pro Guiding Service. Aaron spent seven years with Turner Construction, one of the largest commercial general contractors in the nation as well as as three years with R&H Construction, a large Portland based general contractor. He gained a variety of experiences and roles including project engineer, estimator, superintendent and project manager. Aaron has spent a considerable amount of time on adaptive reuse/renovation of historic buildings in the historically industrial heavy Portland area and has been a key leader in bringing to life the evo flagship stores in Portland and Denver. He also led construction on our 3rd phase of Pass Life lofts and is a key team member, connecting the all-important dots of design, construction and our focus on community.